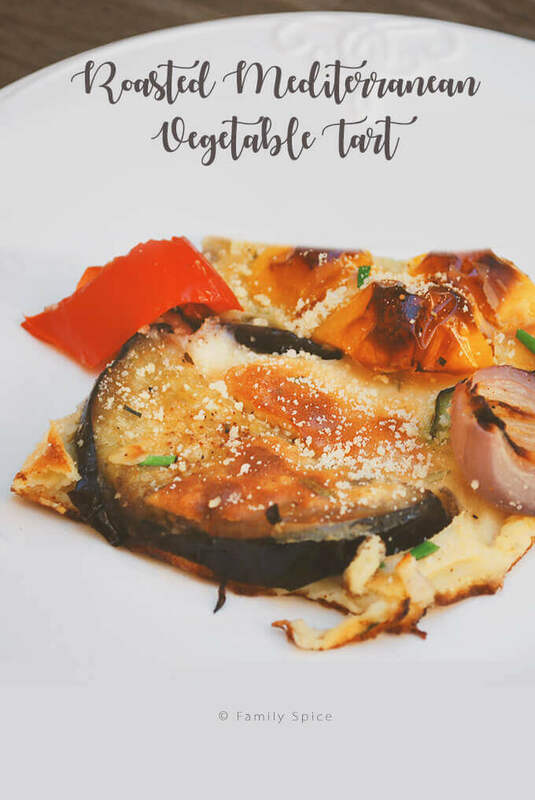 This Roasted Mediterranean Vegetable Tart is bursting with your favorite Mediterranean vegetables is perfect to serve for brunch or as an appetizer. My aunt and uncle recently visited me this week and I had a great time swapping recipes and ideas with them. I cooked for them, they cooked for me, they helped me with the kids, they helped me with the dishes, they took me out to lunch…. They basically spoiled ME. YEAH! And of course, my kidlets LOVE it when visitors come over, especially when visitors spend the night. We don’t get too many overnight visitors since, one, they must sleep in the princess’s pink garden room, and two, my kids are up by 6:30 every morning and they like to run in and wake up our innocent and sleeping visitors. I needed something special to serve for our Sunday brunch to make up for their early wake-up call! I found this recipe in my giant (and unfortunately, neglected) Slow Cooker, One-Pot & Casserole Cookbook. 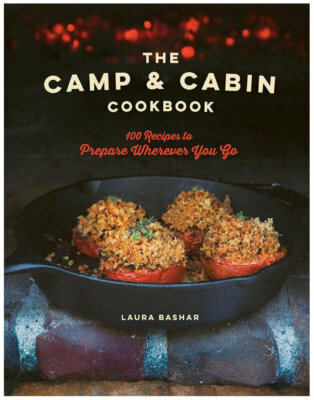 Nestled in page 389 (out of 505 pages) was a recipe for Mediterranean Vegetables Baked in Golden Batter. The name wasn’t very impressive, but the photograph sold me. I’m always looking for great recipes for my favorite, roasted vegetables. 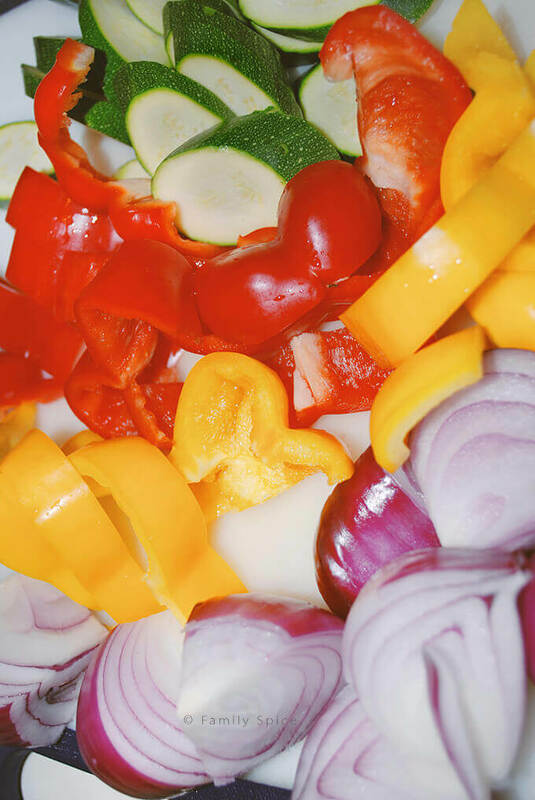 You start with slicing eggplant, zucchini, red onion, red & yellow bell peppers. Toss them in olive oil and roast them in a baking sheet (with a lip) for 20 minutes. 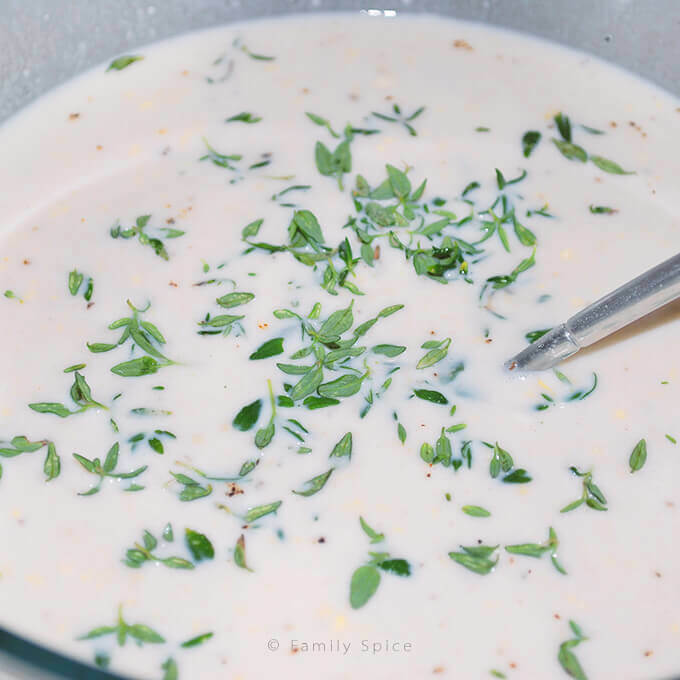 For the batter, you mix together an egg, flour, milk and fresh thyme. 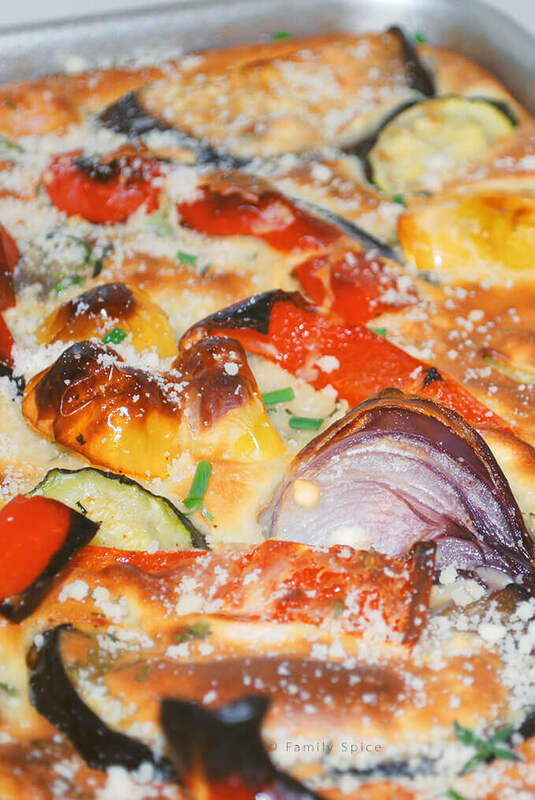 You remove the baking sheet out of the oven and pour the batter evenly over the hot vegetables. Pop the baking sheet back in the oven until the batter is puffy and golden, about 30 more minutes. Garnish with grated parmesan and fresh herbs (I used chives and thyme) and you are ready to impress the guests! My aunt and I were so impressed that we spent the next couple of days trying to rename this recipe, since we didn’t like the other one! After researching the difference between a torte and a tart and a pie, my head was whirling. That explains the quotes!! Whatever you call it, you will love it and so will your guests, whether it’s for brunch, lunch or even an appetizer! 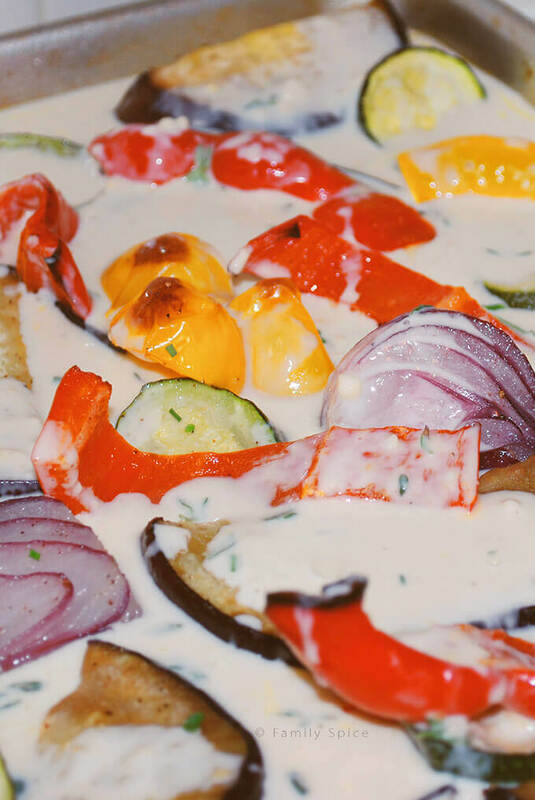 This dish is bursting with your favorite Mediterranean vegetables is perfect to serve for brunch or as an appetizer. Place eggplant slices in a colander and sprinkle generously with salt and leave for 10 mins. Drain, rinse well and pat dry with paper towels. Coat a baking sheet with cooking spray and place vegetables in one layer onto the sheet. Use a sheet that is not too deep. 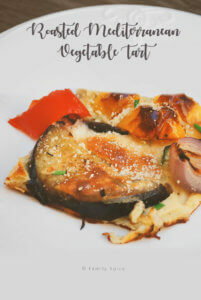 Cook vegetables in the oven for 20 mins. Remove baking sheet from oven and give the reserved batter a quick whisk. 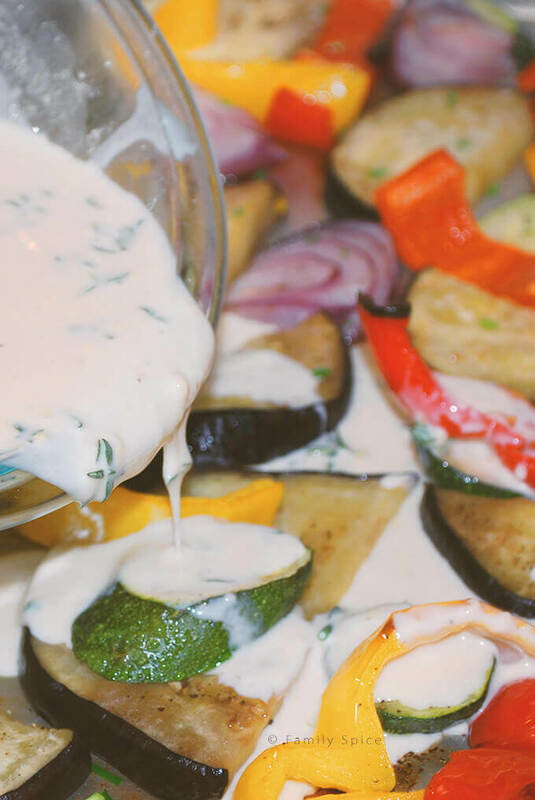 Pour batter evenly over the vegetables and return to the oven for about 30 minutes. When the batter is puffed up and golden, reduce the heat to 375ºF for another 10 mins., or until the edges are crisp.